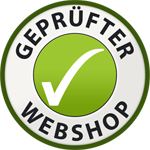 All items in the www.get-grocery.com and www.get-grocery.de are inclusive of VAT and shipping is charged additionally. After entering your personal data, payment method, and confirming shopping you are bound to contract of buying the goods ordered in the shopping cart. The confirmation (via email) of receipt of the order follows immediately after placing your order. In case you are not satisfied with the product delivered or services, please contact the company immediately. The company will send the return papers for returning the goods. You can use 'Terms and Conditions' any time to get more details. We will use your personal data to process your order.A customer data is stored in compliance with the relevant proviosions of the Federal Privacy Act (BDSG) and the Teleservice Data Protection Act (TDDSG) and processed by us.